Legendary American actor and director Al Pacino is the recipient of the Jaeger-Le Coultre Glory to the Filmmaker 2011 Award, a prize of the Venice International Film Festival (organised by the Biennale di Venezia), created in collaboration with Jaeger-Le Coultre, and dedicated to an artist who has left an original mark on contemporary cinema. This year, the award will celebrate Al Pacino and his achievements as a filmmaker. The awards ceremony will take place on Sunday September 4th during the 68th Venice International Film Festival (August 31st – September 10th 2011) directed by Marco Mueller and organised by the Biennale di Venezia chaired by Paolo Baratta. The award ceremony will precede the world premiere of Pacino’s third feature-length directorial picture, Wilde Salome. Referred to as his "most personal project ever," the unconventional feature documentary invites audiences into Pacino’s private world, as he explores the complexities of Oscar Wilde’s acclaimed play Salome, Wilde himself and the birth of a rising star, in actress Jessica Chastain. Al Pacino has become a lasting and iconic figure in the world of American cinema. 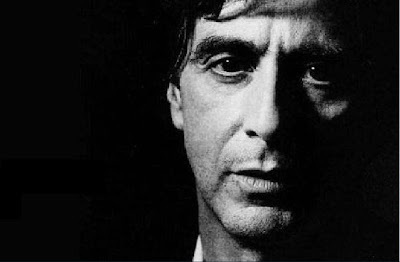 Pacino started on the stage in the mid 1960s and his heart still remains there today. In 1969 he broke through on screen with the film, Me, Natalie. With the role of Michael Corleone in Francis Ford Coppola’s Award winning The Godfather. Pacino launched a career that has cemented him not only as an acting legend but as a cultural icon, with roles in such films as Serpico, Dog Day Afternoon and Scarface. Pacino has never lost his dedication to the theatre, most recently receiving a Tony Award Nomination for the critically acclaimed Broadway production of The Merchant of Venice. In Looking for Richard he examined Shakespeare’s cultural relevance with Richard III and won the DGA Award for Outstanding Directorial Achievement in Documentary. He has provided audiences with indelible performances in films such as Glengarry Glen Ross, Carlito's Way, Heat, The Devil's Advocate, The Insider and Scent of a Woman, for which he won the Academy Award for Best Actor in 1992, after receiving seven previous nominations. He has won the AFI Lifetime Achievement Award and is currently the co-President of The Actors Studio in New York. Pacino’s commitment to acting and directing as a profession has established him as one of cinema’s true legends. Wilde Salome offers an unprecedented behind the scenes look at Pacino’s odyssey: a master class of insight into this cultural icon. Pacino's raw exploration of Salome is one of obsession, determination, commitment and above all, passion. The production is unlike any other documentary, a profound vision of religion, literature, politics, violence and sexuality from one of the greatest artists of our time.